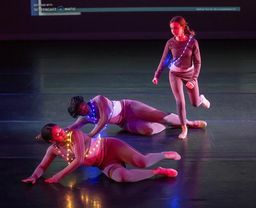 Princeton Day School helps students to develop their artistic potential to the fullest. 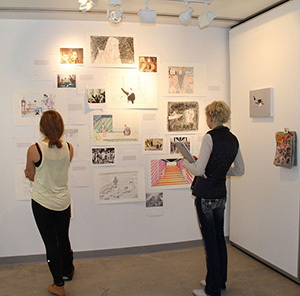 The extensive Arts program offers excellent opportunities for creative expression. Each student explores both performing arts and visual and design arts, growing as a thinker and developing artistic appreciation. Our curriculum is impressively extensive. 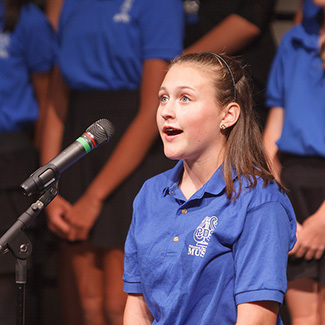 It ranges from an active program of art and music for all Lower School students to an introduction of the theater program to Middle School students to a broad range of choices in the Upper School. Courses include beginning and advanced explorations in dance, music, theater, ceramics, video and media art, photography, architecture, and furniture design. 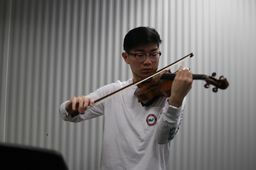 Whether it’s striking self-portraits completed by eighth graders or the remarkable performances of the school’s chamber music ensembles, a single theme unites experiences in the arts at Princeton Day School: the expectation of excellence. 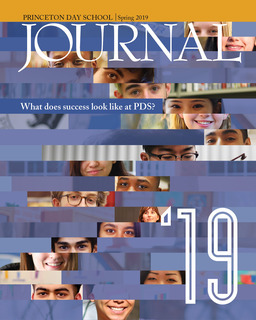 In meeting their teachers’ and their own high standards, students discover what it means—and what it takes—to produce work of real quality. Starting in Middle School, all students explore not only fine art, but also design arts, including architecture. Those interested can pursue the discipline in unusual depth, with several advanced electives in Upper School. The Upper School fall play and winter musical feature exceptional performances, as well as sets, costumes, and lighting design to rival professional productions. These productions have received recognition as among the best in secondary school education in the state. The School’s arts wing provides an inspiring home to the visual and design arts. Highlights include dedicated studios for ceramics and sculpture, architecture, painting, woodworking, and digital and traditional photography.